Hey FX buddies! It’s a brand new year, and that means it’s a great time to think about all the new and shiny things we want to learn. No matter if you are just starting or an old vet we all have a VAST wealth of knowledge to share! So I’m curious, for my own tutorial making porposes, as well as generally what are you interested in learning? I love this kind of stuff and my goal this year is to be proficient at making these kinds of vfx by the time I start grad school in the fall. My only problem is that I think I need something a bit more basic to get me started. Something that assumes I am a complete idiot in regards to mesh based vfx. More fundamentals in regards to how to set up your textures and meshes and how they interact with each other to get a desired effect. Hey guys, I'm working on a university project and am looking for some critique/feedback. 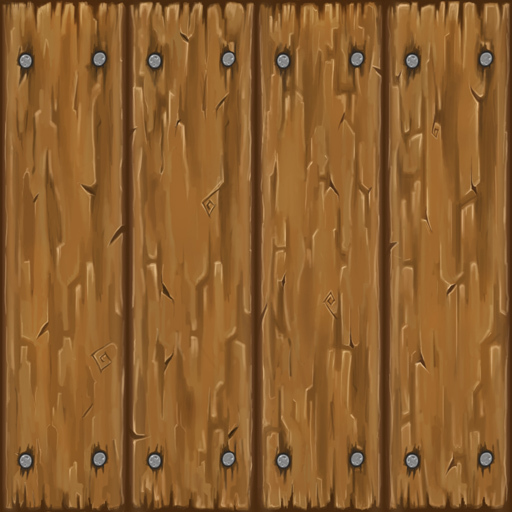 I’d particularly like to learn more about hand-painted textures and 2D animated sprite sheets. So, mostly 2D techniques and drawing in general. And also, I’d like to keep improving my timings. I’ve learned a lot on that subject recently, but I’d like to keep pushing further. This year I’d like to learn about some basic shader works (Shader forge seems a great tool to start with). Also like everyone else would love to learn hand-painted textures and 2D flash VFX making. And also, I would like to stop being stubborn and lazy and start participating in VFX Sketches. P.S. Would love to explore your source files @Sirhaian . Would love to delve into houdini and hand drawn vfx. Using this site and loads of stuff people have already mentioned I’m working away at improving fundamentals - timing, colours, hand painted elements etc. As a longer term goal, by the end of the year I’d love to have a more sophisticated insight into approaching some of the more subtle aspects of VFX - some of the visual language, shape + colour etc… Can’t get enough of some of the breakdowns and the thought processes behind them the resources here. I want to learn FumeFX more and have a deeper understanding of what-controls-what so that I know exactly how to make fire and smoke behave how I want it, instead of spending 3 days tweaking values and settling with a result that’s 60-70% what I want. Especially abstract/stylized smoke, which seems to make awesome plasma and energy fx. I would also like to learn how to do stylized 2D effects. Specifically, but not limited to, anime-style lightning and electricity. I’ve always felt that those stylized bolts, arcs, and zaps look and read much better than realistic forking electricity; somehow it always feels cheesy and too noisy to me. Want to deepen my understanding of shaders and how to use them, start diving into the world of compute shaders, and just understand and know how to use the rendering pipeline in general. End goal is being able to create real time volumetric stuff. I won’t lie though that over the last week I have slacked a bit due to the holidays ending but I still try to do something everyday. Where do you want to start with hand drawn FX? I’m thinking through various tutorials to share, or even make. What would be most beneficial from your perspective? What would be fun and motivating to learn? I’m excited to see anything outside of the wheelhouse of tools I know. FumeFX is one of those cool shiny things Pumped to see what you come up with this year, even if it’s just playing around. Sounds great. Can’t wait to see the sources and I’ll be sure to ask questions. I plan to learn more about unreal vfx and hand-painted textures.see more guy’s shareing then use the things to my works. Im going to be working on juicey timing. Ill be trying to build at least 3-4 quick effects a weak just to practice impact and oomph. Using basic shape textures to no cloud any of the timing. After watching a lot of stuff on here and through 2d. Its certainly always the thing that hits home most with me. I wonder how a timing tutorial would look haha. I found watching learn the basics of FumeFX very helpful. it. Especially when FumeFx can be so fiddly. a white box version, saves having to start from scratch. this down to 0.2/0.15 for the finally thing.